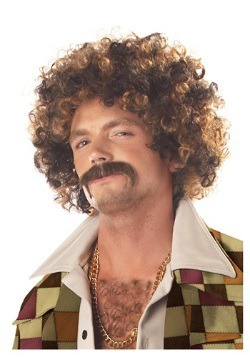 Make Halloween a little funkier this year when you bring people back to the 70s. All you need to do is pop on these happening threads and you’ll be ready to make things extra groovy, man. 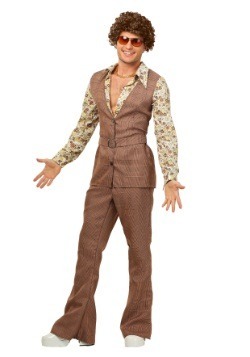 Give a breath of fresh air into the Golden Age of Disco and bring the funk back to the party scene with this 70s Men’s Costume. Everyone loves a retro costume, so to see you grooving on the dance floor in this throwback ensemble will be a treat for everybody! 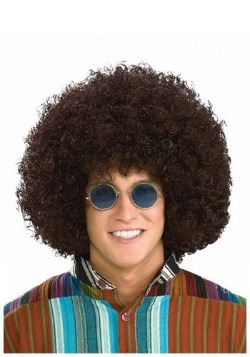 Remember back when sweater-vests and Afros were all the rage? Those were the good old days. A simpler time where the biggest problem was which dance moves to bust out in the clubs. 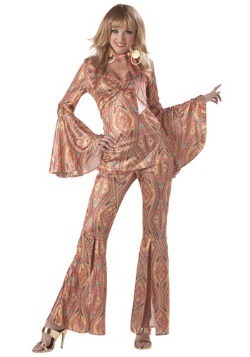 Bring that fun and funky vibe with you to every party this Halloween with this 70s inspired outfit. 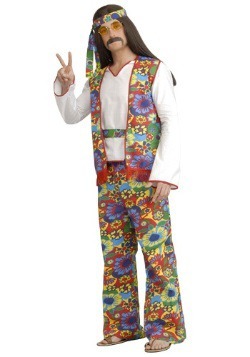 This costume features polyester broadcloth and faux linen as well as acrylic knit. The shirt and vest combo are compiled of a yellow back and sleeves. The collar is also yellow. The ‘vest’ is knitted on the front of the shirt. 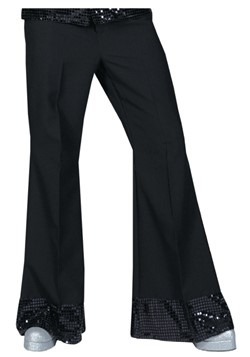 The pants are designed with a bell-bottom style and have vertical stripes all around each pant leg. 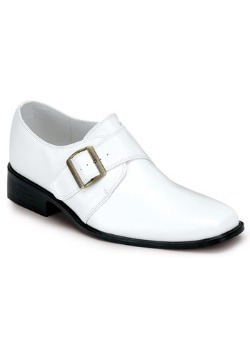 There is an elastic waistband to ensure a comfortable fit as well as welted back pockets for decoration. 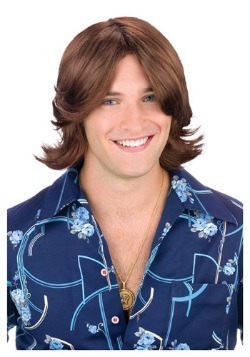 Remind everyone of a golden age in the history of America with this hip and happening attire. 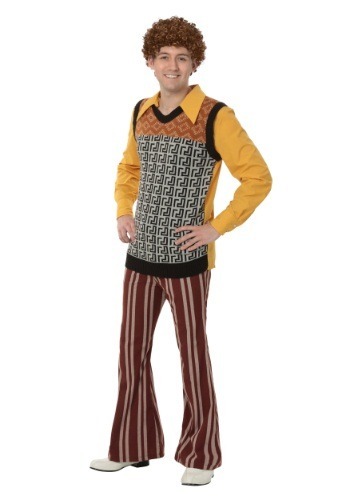 Put the ‘fun’ in ‘funk’ this Halloween when you bust out all the old-school dance moves. Who knows, maybe you’ll get the whole dance floor doing the Hustle or the Electric Slide! Just be sure to limber up before grooving the night away, the last thing you want to do is pull a hammy doing the Funky Chicken Dance.